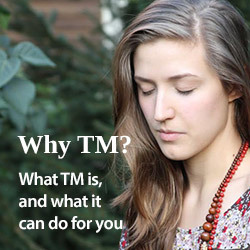 I.M.S. is the association of teachers of Transcendental Meditation active in Switzerland. As certified teachers they teach the Transcendental Meditation program founded by Maharishi Mahesh Yogi. Transcendental Meditation has been taught in Switzerland for over 50 years. Maharishi Mahesh Yogi, the founder of Transcendental Meditation, visited Switzerland for the first time in 1960. Since then, approximately 20,000 people have learned Transcendental Meditation in Switzerland and Maharishi has trained over one hundred TM teachers for the country. I.M.S. perpetuates Maharishi’s teaching in Switzerland, offering Transcendental Meditation to all who would like to benefit. TM teachers are certified to teach by the International Association for the Advancement of the Science of Creative Intelligence (IAASCI) which guarantees the quality of the teaching. IAASCI belongs to a network of many non-profit organizations authorized by Maharishi to train and certify TM teachers around the world.